Luci Doler graduated from DePaul University College of Law in May 2016. Luci shared with the E-Pulse her favorite memories as a DePaul law student, advice for future health law students, and where she hopes her career as an attorney will take her. Luci, a Chesterton, Indiana native, graduated from Indiana University Bloomington with a Bachelor of Arts in Political Science and Global Studies. During her undergraduate career, Luci dreamed of pursuing a career in non-profit upon receiving her Bachelor’s degree. However, during her job search she realized most of the jobs that caught her attention required a J.D. or a very specific legal set of skills. This requirement in the job market inspired her to become an attorney. As a 1L, Luci was very involved with DePaul’s Public Interest Law Association and Phi Alpha Delta where she later took on leadership roles. Besides her involvement, she also discovered more areas of law that fascinated her and decided to explore. The summer following her 1L year, Luci interned as a Law Clerk for the Cook County State’s Attorney’s Gang Crimes Unit. She describes this internship as eye opening to the legal world and rich in transferable skills. Coupled with her internship experience and the knowledge she gained attending lectures by the Jaharis Health Law Institute, Luci found her passion in the constantly developing field of health law. She shares that her interest was initially sparked by seeing how all elements of the law somehow touch on health law, from litigation to compliance and regulations. For her, the options are endless in the fast growing job market surrounding health law. As a 2L and after deciding to pursue a career in health law, Luci became a Jaharis Health Law Institute fellow where she found her dream job. In the summer of 2015, Luci was selected as Health Law Summer Scholar for Baxter International. There, she put to use the transferrable skills gained during her internship with the State’s Attorney and brought to life the knowledge gained during her 1L and 2L classes. While at Baxter, Luci assisted all the attorneys in the renal team with multiple projects. She describes her work as challenging, but very rewarding. Luci happily mentions her Baxter Internship has been her favorite. She shares that this summer scholars internship truly prepared her for the work force more than any class. In fact, when asked about her dream job she admits her goal would be to work in the global team at Baxter specializing in antitrust and pharmaceuticals. Luci’s advice to other students is “to relax and don’t freak out if you are a 1L and have not decided on an area of law to specialize in.” She recommends all students take antitrust with professor Jacobs as she found it helpful to learn to navigate regulations and the procedure involved in hospital mergers. She believes it is an important starting block for anyone pursuing a health law education as it helps underline the basics. Luci emphasized the importance externships and clerkships played in her health law education. She recommends students to truly take advantage of the events held by the Jaharis Health Law Institute and network as much as possible. Additionally, she suggests students to get involved on their 1L year to further take advantage of the opportunities the institute has to offer. 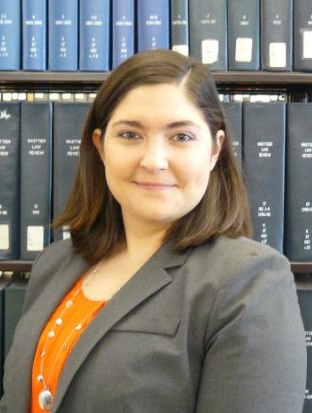 Luci is taking the Illinois bar exam in July and has not yet finalized her future plans. Her goal is to work in antitrust and perhaps one day as in-house for a health care provider or back at her favorite place, Baxter International. In the meanwhile, Luci plans to dedicatedly study for the bar exam and spend her study breaks playing board games with her friends and loved ones. The E-Pulse wants to wish Luci good luck as she prepares for the bar, and we are confident amazing legal opportunities await you in the future!